Dell seems as if it’s gone and made a flagship laptop in disguise with the Dell Inspiron 13 7000 2-in-1. Bringing the most essential luxury-end features to a configuration and hardware design just beneath their normal trappings is nothing new to this line, but this year – at IFA 2018 – feels different. 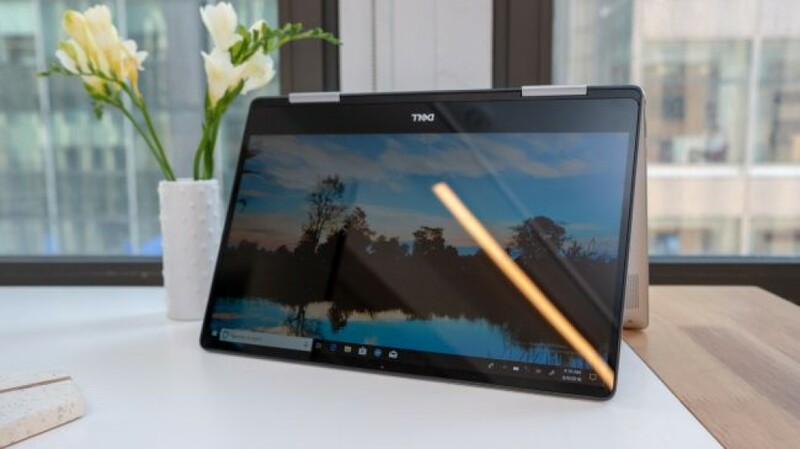 This year sees the Inspiron 13 2-in-1 gain features that the XPS 13 and 15 don’t even have yet, like a new webcam that can rest above the screen while still sporting narrow bezels. Plus, with support for Amazon Alexa and Dell Mobile Connect, the firm’s Android and now iPhone-ready phone management software, the Inspiron 13 7000 2-in-1 for 2018 could very well prove to be an early alternative to the Dell XPS 13 itself. Dell will ask for $879 (about £682, AU$1,196) for the Inspiron 13 7000 2-in-1 when it’s available this October 2nd. 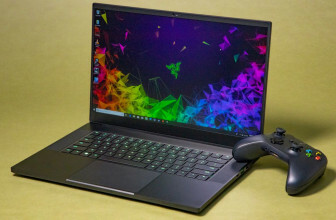 That starting price will get you an 8th-generation Intel Core i5 processor paired with a 128GB NVMe SSD and 8GB of DDR4 memory behind a 13.3-inch Full HD (1,920 x 1,080) touchscreen. This price also includes biometric login via Windows Hello, thanks to a fingerprint reader hiding within the laptop’s power button. If you want more than this starting configuration, you can upgrade up to an Intel Core i7 processor , 1TB SSD and 16GB of memory. The display can also be boosted to a 4K UHD (3,840 x 2,160) panel. However, Dell hasn’t disclosed pricing for any of these upgrades. This pricing puts the Inspiron 13 7000 2-in-1 right in line with competing, semi-premium laptops, offering up the same hardware and features for less than flagships wrapped inside a slightly less luxurious shell. Largely speaking, this version of the Inspiron 13 7000 2-in-1 doesn’t look terribly different from its predecessor. Rather than reinvent the lineup, Dell chose to refine its design. 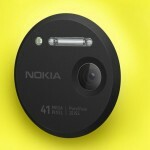 One of the most important revisions is, believe it or not, in the webcam. 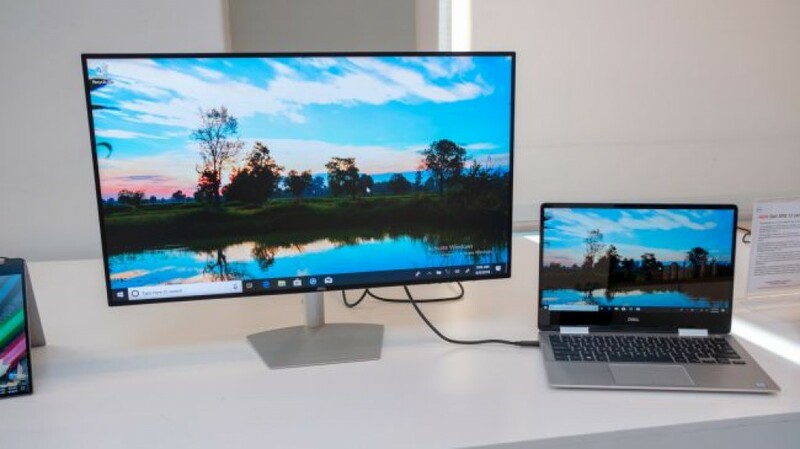 Dell managed to fit a smaller, four-element-lens webcam that not only improves image quality in low light, but allowed the company to maintain the webcam’s proper position with even smaller bezels. Here’s to hoping that this feature makes it to the XPS line – fast. 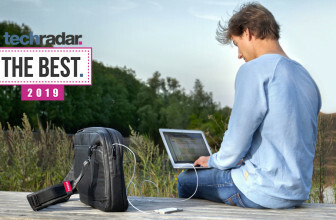 Of course, the laptop is still encased in an all-aluminum shell fastened by two, sturdy hinges that support all of the device’s 2-in-1 functions. However, this year’s model eliminates the depressed keyboard area in favor of a flat, brushed aluminum base design. The keyboard that rests on the laptop’s base is also fine and serviceable, allowing us to largely type at our normal rate during the brief time we’ve had with the device during a press briefing, and it’s backlit. The same here goes for the touchpad: a seamless and enjoyable experience. This laptop measures in at 12.11 x 8.36 x 0.53 inches (307.7 x 212.45 x 13.68mm; W x D x H) and weighs 3.19 pounds (1.44kg). It’s the thinnest or lightest in its category, though this laptop gives flagship Ultrabooks a run for their money, especially at this price. The Truelife display on this laptop looks fantastic and is mighty responsive to touch functions, but is a glossy panel. 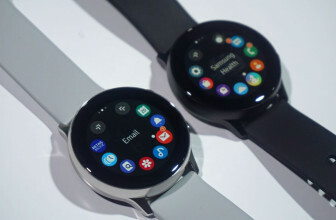 This means that, while the IPS technology inside will lead to wider viewing angles, direct light (i.e. outdoor light) is going to be rough on this screen when it comes to glare. It’s always difficult to discuss the performance of a laptop in a hands-on review, but the list of hardware options for this laptop give promise. The combination of an Intel Core i5 and 8GB of DDR4 memory should be able to handle general tasks with aplomb. Supporting that strong base line of performance will be a newly developed thermal system that expels heat from new vents located in the base beside the screen hinges. 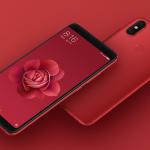 That performance can then be expanded through hardwired connections including one USB-C 3.1 port, one USB 3.1 port, HDMI and a microSD card reader. Unfortunately, Dell hasn’t issued any projected figures for battery life. Here’s to hoping it does better in our battery tests than the previous model – at least coming close to Dell’s claim of 8 hours and 20 minutes for that version. Dell may not have tangibly changed much about its Inspiron 13 7000 2-in-1 in terms of design, but it made alterations where they mattered most. 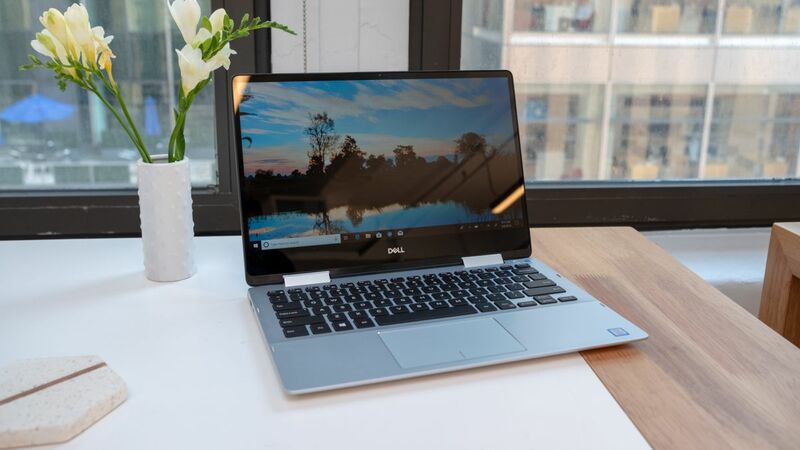 In fact, we’re seeing the most sought-after Dell XPS 13 and 15 feature – a webcam small enough to sit where it belongs in a narrow bezel design – right here in Dell’s highest-end mainstream laptop. 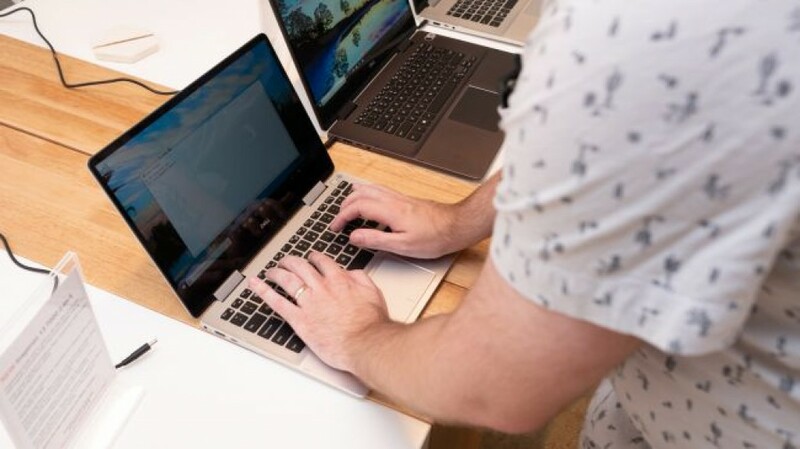 That alone has us very excited for not only what kind of laptop the Inspiron 13 7000 2-in-1 turns out to be in a full review, but for how this development could influence Dell’s flagship line of products. 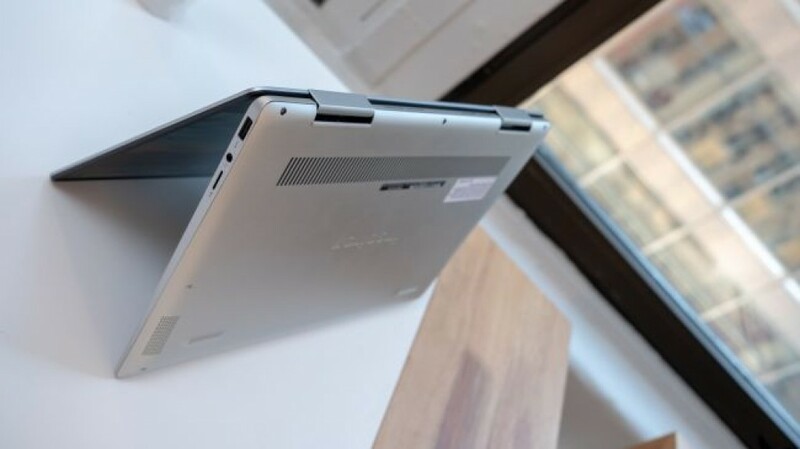 Throw in Amazon Alexa support and Dell Mobile Connect, and this Inspiron starts looking like a flagship laptop in disguise. If this laptop survives a TechRadar review well enough, you might have an early XPS 13 alternative right from Dell.